We are happy to help schools fulfil a range of staffing needs, from providing teaching assistants in the classroom, to staff needed for pupil intervention programmes. And with a new menu of ‘Bigfoot SOS’ ideas, created in response to the current education cuts, there really is no excuse for not embracing creativity on an ongoing, yet affordable, basis in your school this year. Download our BIGFOOT SOS flier for more information on our school support offer. 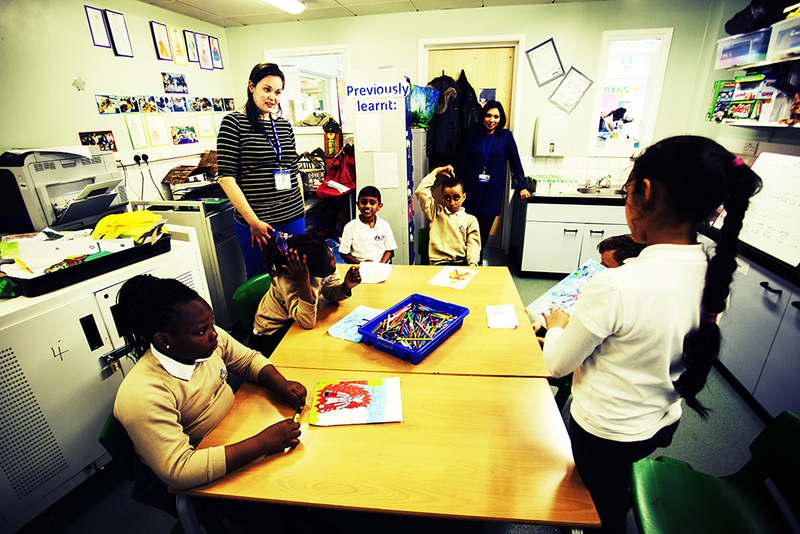 Our facilitators are equipped to provide one-to-one and small group tuition to positively impact pupil attainment for those with EAL, SEN or Gifted & Talented needs, as well as those students who may just need a little extra support within the classroom. The essence of our ’classroom support’ offer is straightforward so that our company values of understanding, quality and trust can help us to deliver an efficient, cost effective and valuable service to schools. We have, therefore, reduced our basic rate classroom support cost to £185 plus VAT per day throughout 2017/18 to fall in line with other agencies offering this service and help embed some creativity within your normal school day!